"I'm out to conquer immortality." HBO has revealed the official trailer for the sports biopic documentary What's My Name: Muhammad Ali, directed by filmmaker Antoine Fuqua (his third doc after making American Dream/American Knightmare last year, and Lightning in a Bottle in 2004). This new two-part documentary runs 165 minutes in total, and is first premiering at the Tribeca Film Festival later this month before arriving on HBO for viewing. This riveting doc film on Muhammad Ali tells his life story using his own words, featuring a good amount of never-before-seen archival footage to explore Ali's challenges and triumphs. It's executive produced by LeBron James and Maverick. What's My Name seems to spend just as much time on Ali's life outside the ring as an inspiring social activist, as it does on his stellar boxing career. One of the most iconic figures in athletic history, Muhammad Ali's incredible story from world champion boxer to inspiring social activist is explored through his own voice & never-before-seen archival material. Many have told his story over the years, but with Antoine Fuqua’s comprehensive, two-part documentary, Ali finally tells it in his own words. What's My Name: Muhammad Ali is directed by American filmmaker Antoine Fuqua, director of the feature films The Replacement Killers, Bait, Training Day, Tears of the Sun, King Arthur, Shooter, Brooklyn's Finest, Olympus Has Fallen, The Equalizer 1 & 2, Southpaw, as well as The Magnificent Seven previously. He also directed the doc American Dream / American Knightmare. The doc is premiering at the Tribeca Film Festival later this month. 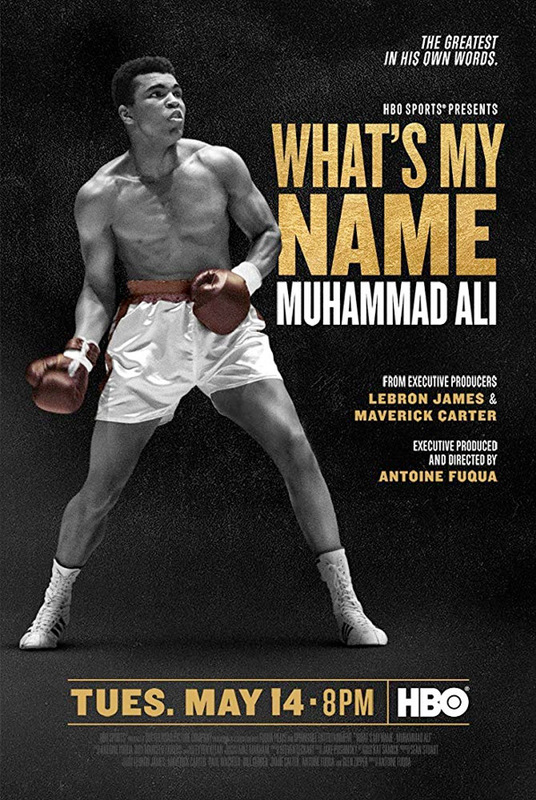 HBO will then debut Fuqua's What's My Name: Muhammad Ali streaming exclusively starting May 14th next month. How does this new doc look?